The golden rule that all marketers live by is to go where your customers are. That is especially important when it comes to content curation. So what is content curation? Before the digital age, marketing channels were pretty cut and dry. In today’s world over 40% of the world’s population is on the internet. There are over one billion websites and applications. Digital marketing as a result is becoming more and more complicated. I’ll bet that throughout the year, you are adding additional popular platforms to your marketing strategy. You want to hit those marketing goals, and the only way to do that is to turn towards the channels your customers are on. The problem is that unless you are able to increase your marketing budget, you have to work with the resources you have. That means stretching your marketing operation to the limits with regards to time and resources. 1) Lack of time and bandwidth to create enough content. 2) Producing enough content in variety and volume. Regardless of the size of your marketing department and budgets, every marketer deals with the same set of issues. So what’s the solution? It isn’t magic, however to a marketer, it is just as spectacular. It’s content curation. Content marketers, social media marketers, and digital marketers are turning towards content curation to help them engage their customers. In fact, 82% of marketers have already added curated content to their marketing strategy. The basics of content curation. The benefits that you’ll reap from content curation. and how you can start incorporating it into your marketing strategy immediately. The goal of this guideline is to equip you with some thoughts and tools to help you achieve your marketing goals. PART 1: What is Content Curation? Here is elink’s definition: Content curation is adding your voice to a handpicked collection of content, from a variety of sources around a specific topic, that you publish and share. The first step brands and marketers have to take is to choose a topic their customers would find interesting. This can range from industry news, cool tools, customer reviews, top 10 lists, interviews, presentations, product recommendations and more. The bottom line is that you are going to want to collect and curate information that is both meaningful and incredibly useful to your customers. Every marketing team has its set of expertise and areas of strength with the types of engaging content they produce. One of the main advantages of curating digital content is that you have various mediums of content to choose from: videos, articles, podcasts, webinars, social media posts, infographics, etc. By tapping into these online channels, you can select the very best content and put them together in a smart and engaging way to share with your audience. By utilizing the best content out there, you will help your customers find answers to their questions, create new thought processes, incorporate efficient tools and much more. Ultimately, your audience will appreciate your efforts and reward you with higher engagement levels. It’s a win-win! As you curate content, it’s important that you add your voice. Tell your customers why they should pay attention and care about the curated content you are sharing; this will help your audience get the most out of your curated content and view you as a thought-leader. One way to think about this is to imagine being a professor. Your lectures consist of curating and delivering information on a specific topic from a variety of sources. You aren’t going to read books out loud; you will be inspiring your students through your delivery, opinions and thoughts. Make sure you focus on the way you deliver your curated content to your customers. 4) Publish & share your curated content with your customers! It takes a lot of time to produce quality videos, white papers, infographics, long-form articles, etc. You and your team have to spend countless hours researching, writing, creating visuals and editing to make fresh, engaging content. However, studies have shown that for every hour invested in content curation, small to medium-sized businesses see 3.7x more volume and 1.6x more traffic. By supplementing your in-house content with content curation pieces, you will not only be able to increase the amount of content you share, but also end up with higher engagement levels! Your audience may be interested in topics that you either don’t have the expertise in or the resources to cover. Curation is a great way to pull quality in-depth content from experts and organizations that have covered topics you are unable to. By bundling the best resources intelligently, you will be able to provide your customers with valuable information that would have otherwise taken them hours to research! It’s a great way to keep your customers coming back to you and become brand advocates. Curation is a fantastic way to expand your reach by including content from other companies, experts, and influencers. You’ll want to make sure you properly give credit and notify your sources of their inclusion in your content. It is a useful catalyst to create new partnerships, have your content shared with a larger audience and lastly, an excellent way to build up your professional network. Although there are a number of ways you can curate content through your marketing channels, some of the most popular methods marketers use include curated newsletters, web content and through social media. One of the most popular ways to curate information is through newsletters. You can collect and share the most relevant industry news, weekly roundups, case studies, listicles and more. By choosing from a range of topics and sources, you have the ability to create engaging emails consistently. You are also able to share a wide variety of topics within your industry to engage your customers. You can increase the frequency of the content you post on your website through curation. Figure out what topics will resonate with your audience and create content around key resources, informative videos, webinars, reading lists, etc. If your marketing goals are to drive traffic to your site, you should find ways to curate your brand’s content. You can either curate only your brand’s content, or you can include your brand’s content intertwined with other sources. Some ideas include curating content around your most popular posts of the month, the best posts about a particular topic, collections of product offerings, and interesting articles about your company. An excellent way to engage your audience on social media is to share various types of content. By adding curated posts to your social media calendar, you’ll be able to tag brands, experts, and influencers. It’s a great way to get noticed and have your content shared by some powerful social voices. Depending on how good of a job you do with your curation piece, you have the potential of getting in front of their audiences. By now you should have a good understanding of what content curation is, reasons why you should employ a curating content strategy, and how you can start curating content today. The best way to get started is by looking at your current marketing strategy and identifying key areas where you can start curating content. Do you have any additional content curation strategies that you have found to be successful? elink.io is an all-in-one content curation tool that allows you to curate and publish content as a newsletter, web page or website embed. It’s every content marketer’s dream tool. This was an insightful blog post on content curation. I dabble in a bit of it on my Facebook page but I never thought to expand upon it on my own site. There are some really great ideas on how to do this without it looking too out of place on my site. I did create a round-up post for the end of 2016, but I haven`t done any since then. We’re glad you enjoyed the blog post, Jacqueline :). We hope our content curation ideas may help in your own website or Facebook page. There are some really great tips here. I wanted to pin it for later, but there wasn’t a pinable image. However, I’ll make sure to come back to it, because it’s really useful information. Thanks! Bit long of a post but it was very informative since I’m about to take a job in content creation. Thanks! I liked how detailed and informative this post was. I did not know much about this but I am learning and these articles are so helpful. Thanks, Kristal. Yep, we made it as detailed as it could be to make sure our readers learn everything there is to learn about content curation! 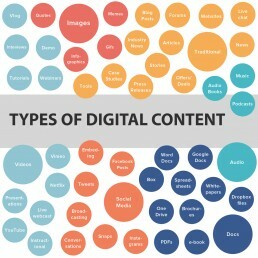 Great Guide on Digital content curation. Content curation is a very good SEO Technique to grow network. Social media posts curation is a good way to get noticed on Social Media Platforms. Thanks for the post. I’ve just started curating content, and you’re point about it being a must for time saving I definitely echo now I’ve started curating on my website.